Amy Tiehel attended the prestigious Circle in the Square Theater School Summer Program in NYC then continued her acting studies in Philadelphia, New York and Los Angeles. Amy did some local Philly theater then moved to L.A. where she auditioned for film, television and commercials. A fun memory was doing an improv audition with Larry David for Curb Your Enthusiasm. Her Philly attitude made him laugh! 'Amy starred in the horror film, "Amhurst," and also did multiple short and indie films in L.A. before moving back to Philadelphia. Shay Guthrie is from Pittsburgh, Pennsylvania. She will be graduating from Rutgers, Mason Gross School of the Arts this January with a BFA in acting. Film and television credits include A Pennsylvania Miner's Story and Supah Ninjas. Her favorite role to date was Helena in A Midsummer Night's Dream during her Junior year at Shakespeare's Globe in London. 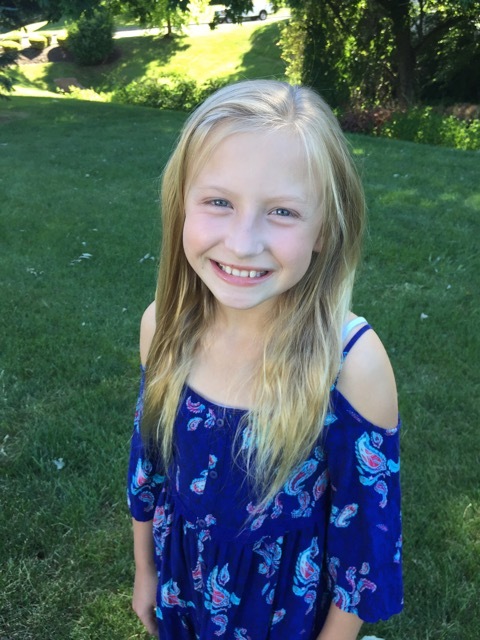 Katelyn has been modeling and acting in local commercials and ads since she was five-years-old. Redcoats is her very first film role. Katelyn has a lot in common with her character Hannah. She loves to be outside riding her bike or playing with her dogs, Tucker and Tessa. She loves to read, cook and enjoys arts and crafts. Katelyn is in fourth grade and is a very good student. She is a kind and gentle friend. Katelyn has two sisters, sixteen and four and a big brother who is 12. She is excited to play the big sister in Redcoats. Katelyn lives in Schwenksville Pennsylvania and goes to Evans elementary school. Chase Jennings Gray is a native of south central Pennsylvania. He discovered his love for the stage at the age of 5, when he was cast in an original holiday production at Allenberry Playhouse. In just over a year’s time, he has been cast in five different theatrical productions, including Billy Elliot: The Musical (Small Boy) at The Fulton Theatre and Oliver! (Fagin’s Gang) at Ephrata Performing Arts Center. Chase currently studies classical ballet and theater in the central Pennsylvania area. When not busy acting, Chase loves to travel, spend time with his older brother, Rylan, and play with his dog, Cooper. Richard Lyntton, "Enoch, Redcoat Officer"
Richard Lyntton was born on February 1, 1966 in Highgate, London. He is a graduate of Mountview Theater School, one of the top London Theater Schools. Acting credits include: The Blacklist: Redemption, Creed with Sylvester Stallone, Law & Order: SVU, One Life to Live, Blue Bloods and The Answer Man with Jeff Daniels. Richard is a former Captain in the Queen’s Household Cavalry Regiment—The Life Guards. He served as a tank commander in Gulf War 1 and a UN & EU peacekeeper in Bosnia & Russia. He speaks five languages—Russian, Bosnian, French and German. You can find Richard's resume HERE. A graduate of DeSales University's esteemed theater program, 'Jez' has amassed multiple credits in various styles and mediums over the course of a 25-year career. Film credits include Peter Jackson's 'The Lovely Bones' and Kevin Smith's 'Jersey Girl'. For television, the CBS series 'Hack' as well as the popular series of commercials for Pennsylvania Tourism, 'The Weavers'. Stage credits include everything from Arthur Miller to Sarah Kane, plus half of Shakespeare's canon of plays. When he isn't acting, he serves as a stay-at-home Dad to his autistic daughter and her little sister. Chris James Boylan was born in Drexel Hill, Pennsylvania on May 22nd 1992. He studied acting with teachers such as Stuart Rogers, Jerry Perna, Larry Moss and many others. Chris stars in the feature film Bloodrunners (2017) starring Ice-T. Also has a co-staring role in the feature film Zeroes (2017). Also costars in the upcoming Netflix original series Mindhunter (2017) created by David Fincher. When Chris is not acting he works for his fathers trash removal company Boylan and Sons LLC.